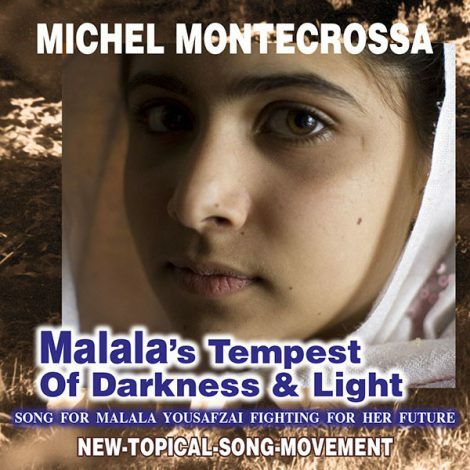 ‘Malala’s Tempest Of Darkness & Light‘, released by Mira Sound Germany on Audio Single and DVD, is Michel Montecrossa’s New-Topical-Song dedicated to the Pakistani girl Malala Yousafzai who was nearly shot to death by the Taliban and her battle for her freedom to receive education, to have her future and to live in a good world. “The future is young, it is not old. Malala Yousafzai is a young girl from Pakistan fighting for her freedom to receive education, to have her future and to live in a good world. For that she was nearly shot to death by Taliban. But it is the young who are the future of us all, not the merciless old. The young are the new, the progress, the unexpected, the free. They must be protected, helped, brought to fulfillment if human civilization, humanity itself wants to survive. When they mistreated her light of intelligence, / mistreated the light of her soul, / when they mistreated her simple confidence, / the understanding of hope, / then, I say, they brought darkness and the fall. When they mistreat the balance of harmony, / lead people away from the goal, / turn the simple into the blood of misery, / turn the warm into the cold, / then, I say, this is darkness of the old. When they mistreat the cycles of life, / cheat the meaning, the true gold, / when they mistreat, the right with the wrong, / become a danger for the young, / then, I say, this is the darkness and is not at all strong. When they sell kids to hell, / mistreat everything that helps, / lead people into unhappiness / and have no conscience at all, / then, I say, this is the darkness of the death of their soul. When you stand upright in the light of your soul, / in the light of intelligence and truth that knows / and do the good action of love for all, / the one thing important for reaching the goal, / then, I say, this is the victory light of Malala’s soul, / the victory light, saving us all. / The victory light of Malala’s soul. 18:00 Opening of the book and multimedia exhibition with the welcome-speeches by Michel Montecrossa and Mirakali on ‘Love & Unity in Literature, Movie-Art, Topical-Songs and Audio-Books’ and presentation of books and multimedia by the Mirapuri authors Michel Montecrossa, Mirakali, Sri Aurobindo, Mira Alfassa and Anand Buchwald in English and German language. Michel Montecrossa, the founder of Mirapuri, and Mirakali are most prolific 21st century philosophers, novelists, poets, moviemakers, painters, musicians, songwriters and composers, writing in English and German language. Anand Buchwald, Diana Antara and Mirachandra are Mirapuri authors writing modern tales, children stories and novels in German language. Sri Aurobindo and Mira Alfassa are two of the greatest modern philosophers, authors of spiritual books, musicians, artists, playwrights and poets writing in English and French language. MICHEL MONTECROSSA: ‘DER YOGI SRI AUROBINDO ZU TRANSFORMATION UND SPIRITUELLER EVOLUTION’ (216 pages, Hardcover, German) Durch die freundliche Einladung des Fachreferenten beim Referat für Ökumene und Interreligiösen Dialog, Herrn Peter Miller, erhielt Michel Montecrossa, der Gründer von Mirapuri – der Stadt des Friedens und des Zukunftsmenschen in Europa, Italien, deren Aufbau aus den Idealen des Integralen Yoga von Sri Aurobindo hervorgeht, am 9. Mai 2012 im Pfarrheim von St. Paul, München die Möglichkeit, über Sri Aurobindo’s Leben und Werk und Menschenbild einen Grundsatzvortrag anlässlich des 39. Treffen der Interreligiösen Runde zu halten. In diesem Buch werden der vollständige Text des Vortrags von Michel Montecrossa veröffentlicht, sowie Fragen und Antworten zu dem Vortrag, eine Zusammenstellung von weiterführenden Zitaten aus den Werken von Sri Aurobindo und Michel Montecrossa und Informationen über den Aufbau von Mirapuri in Italien und Miravillage, dem ersten Satelliten von Mirapuri in Süddeutschland. In dem Vortrag werden die essenziellen Gedanken von Sri Aurobindo und Michel Montecrossa dargestellt und in aktuellen Bezug zu heutigen und zukünftigen Welt- und Menschheitsentwicklungen gebracht. Am Ende seines Vortrags sagte Michel Montecrossa: “Mirapuri ist ein Platz, an dem Menschen, die dieses Ziel, dieses Anliegen des Integralen Yoga der Entfaltung einer neuen Lebensorientierung und der sich daraus ergebenden weiterführenden Bewusstseinsforschung angenommen haben, die nicht nur darüber lesen, sondern es vor allem praktizieren und selbst erleben wollen, um neue Schritte, neue Erkenntnisse über dies praktisch unendliche Feld der Bewusstseinsverwirklichung aus ihrer Seele, aus ihrem kosmischen Spirit, aus ihrem Kontakt mit dem Großen Bewusstsein zum Wohle aller in das irdische Leben zu bringen.” Als Abschluss der Gesprächsrunde sagte Michel Montecrossa: „Hoffnung ist Zukunft. Zukunft ist das Wunderbare, das Göttliche. Aus diesem Wunderbaren ist die Wirklichkeit gemacht. Deshalb ist alles möglich, da wir uns zu diesem Wunderbaren öffnen, uns mit ihm verbinden und es in unserem Leben verkörpern können als das Wahre, das Richtige, das Weite.“ MICHEL MONTECROSSA: ‘PAINTINGS & DRAWINGS VOL. 1’ (140 pages, Hardcover) Michel Montecrossa on art: “Art in all forms opens for us the gates to the worlds of consciousness. This is the essential purpose of art. Form, style or technique don‘t matter. Important is only: the gates are opened. My work in the fields of music, film production, fine arts, architecture, literature, poetry and philosophy opens some of these gates.” Michel Montecrossa, artist and voice of peace, expressive power, love and happiness. Michel Montecrossa is an exceptional holistic 21st century artist. He unifies in himself the songwriter, the composer, the painter, the ­writer, the film producer, the futuristic architect and the Cyberartist for the ­expression of a global, future oriented consciousness. The art book ‘Paintings & Drawings‘ is the first volume of a ­series ­presenting the artwork of Michel Montecrossa. His paintings and ­drawings are the documentation of a free man and his soul ­journey. ­Michel Montecrossa‘s art is a stream-of-consciousness-creation ­expressing through the secret energy of photons the mystery, the love, the joy and light of an ever expanding life of awareness, ­communication and beauty. The book shows 135 paintings and ­drawings from 1969 till 2012 on 140 pages. MICHEL MONTECROSSA: ’10 SPECIAL ATTENTION NEW-TOPICAL SONGS & MOVIES BY MICHEL MONTECROSSA APROPOS U.S.A. PRESIDENTIAL ELECTION 2012 AND PRESIDENTIAL TERM 2012 – 2016′ (DVD, English, Duration: 38:59 Min., PAL Audio-CD, English, Duration: 35:07 Min.) ’10 Special Attention New-Topical Songs & Movies by Michel Montecrossa apropos U.S.A. presidential election 2012 and presidential term 2012 – 2016′ released by Mira Sound Germany on Audio CD and DVD is Michel Montecrossa’s powerful Topical Song and Movie statement of commitment to a new level of work ethic in politics and economy for the future world. 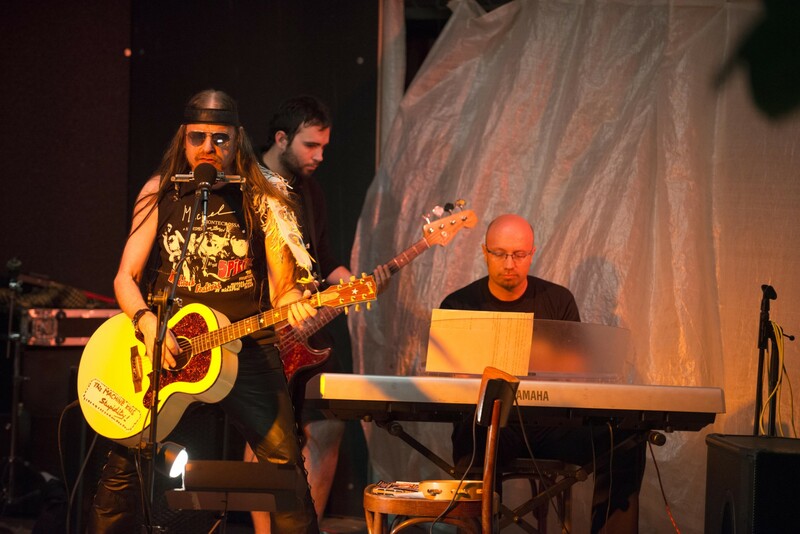 Michel Montecrossa’s 10 New-Topical-Songs turn in a universal way to the burning questions the USA has to face and to the fact that the quality of the USA answer to these questions will be affecting the entire world. The USA Presidential Election 2012 and the following Presidential Term 2012 – 2016 mark the time and the crossroads of destiny where humanity will have to decide if it moves towards unity and peace or towards disunity and endless wars. In the play of forces that influence the quality of this decision the USA will play a great role. Therefore the greatness or the smallness of the USA president is a major factor for building World Unity and World Peace. The ’10 Special Attention New-Topical-Songs & Movies Apropos U.S.A. Presidential Election 2012 & Presidential Term 2012 – 2016′ include masterpieces like ‘Talking Big Warning‘, ‘Talking U.S.A. Apocalypse‘, ‘Talking Occupy Wall Street Movement‘ and ‘Talking Banking Solution‘. All songs take up their themes in the spirit of positive answers and unflinching reality awareness to be helpful in finding clarity, determination, hope and courage. Michel Montecrossa says: “The ten special attention New-Topical-Song Movies feature ten red-hot hot spot themes for concerts, discussions and debates in talk shows, articles and forums related to the U.S.A. Presidential Election 2012 and Presidential Term 2012 – 2016 and their impact on the world.” MICHEL MONTECROSSA: ‘FUTURE WORLD’ The ‘Future World’ presents 90 song lyrics from Michel Montecrossa’s hope-giving Future World & Climate Change Concert Tour 2011. Each song is featured with easy to learn guitar chord-progressions. 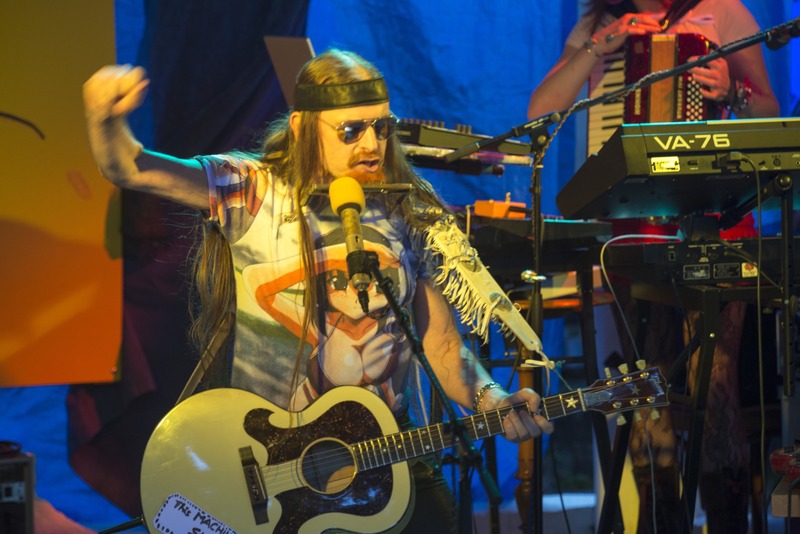 Michel Montecrossa says: “The ‘Future World’ topical-songs in this book and on the Audio-CD box are songs by the ‘Singing News Man’ that inspire to see the good, to live the good, to do the good. They are hope-giving songs and hope is good for effective future-building. They are 90 New-Topical-Songs about peace, human unity, future fear, change, protest, upheaval, revolution, work, fair wages, health, education, bankas, politos, consciousness, ethics and what the people need. They are good for every talk show, article, TV & radio program and concert in your town. The ‘Future World‘ book and Audio-CD box are presenting 73 English songs, 1 bilingual German-English song and 16 German songs. They document history in the making, give intelligent answers and show solutions.“ ‘Future World’ is a poetic masterpiece of songwriting by Michel Montecrossa, one of the 21st century’s greatest musician-artist. ‘Future World’ unfolds its inspiring message on 208 pages with 90 song lyrics, photographs, digital art, paintings, drawings, concert posters and guitar chords. 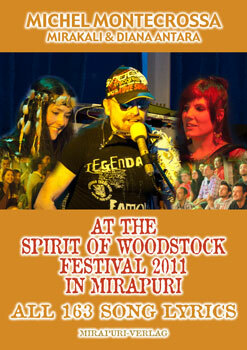 The brand new Song Lyrics Book & Audio-CD Production published by Mirapuri-Verlag ‘Michel Montecrossa, Mirakali and Diana Antara at the Spirit of Woodstock Festival 2011 All 163 Song Lyrics’ will be presented on October 24th, 2012 at the Press conference in the Filmaur Multimedia House starting at 16:00 (4:00 pm). – Filmaur Multimedia Haus; Danziger Str. 1, 82131 Gauting bei München. brand new songs of our Future World & Climate Change Tour of that year. and giving lasting answers through the living celebration of humanity. The ‘Future World’ presents 90 song lyrics from Michel Montecrossa’s hope-giving Future World & Climate Change Concert Tour 2011. Each song is featured with easy to learn guitar chord-progressions. Michel Montecrossa says: “The ‘Future World’ topical-songs in this book and on the Audio-CD box are songs by the ‘Singing News Man’ that inspire to see the good, to live the good, to do the good. They are hope-giving songs and hope is good for effective future-building. They are 90 New-Topical-Songs about peace, human unity, future fear, change, protest, upheaval, revolution, work, fair wages, health, education, bankas, politos, consciousness, ethics and what the people need. They are good for every talk show, article, TV & radio program and concert in your town. The ‘Future World‘ book and Audio-CD box are presenting 73 English songs, 1 bilingual German-English song and 16 German songs. ‘Future World’ is a poetic masterpiece of songwriting by Michel Montecrossa, one of the 21st century’s greatest musician-artists. ‘Future World’ unfolds its inspiring message on 261 pages with 90 song lyrics, photographs, digital art, paintings, drawings, concert posters and guitar chords. 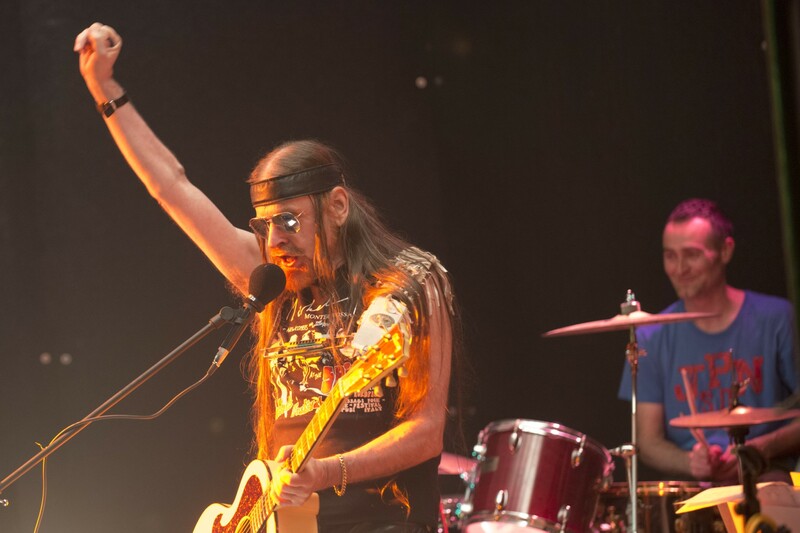 ‘Talking Aamir Khan From India‘, released by Mira Sound Germany on Audio Single and DVD, is Michel Montecrossa’s New-Topical-Song, calling for cultural, social, humanitarian and ecological awakening to the urgent need for Human Unity, for co-operation, for freedom and standing together for a young future of hope, love and peace. “My New-Topical-Song and movie ‘Talking Aamir Khan From India’ was triggered by Bollywood megastar Aamir Khan’s controversial and taboo breaking talk show ‘Satyamev Jayate – The Truth Alone Prevails’. This show attracts a mass viewership of up to 500 Millions. Tackling some of India’s most serious social issues it is a great and important reaction to the big waves of change sweeping over the globe, born from the international democracy and occupy movements, courageous women activists, green energy revolutionaries and the mass outcry of the jobless young everywhere demanding free access to education, demanding their future from the dangerous old, demanding a world without corruption, discrimination, slavery, abuse, poverty and hunger. Aamir Khan is a good man, megastar by hand. / To India he brings his ideals of social change, / saying: “The truth alone prevails,” / in his talk show gives a voice to the lonely, to their pain. When Aamir speaks out loud, rapists are driven out / and injustice is no longer covered by the dark. / He is the Indian Oprah for hundreds of millions of viewers, / tackling India’s most serious social issues. Aamir Khan is breaking taboos to make things better, / is pointing to the future of great social changes in India happening, / is pointing, I say, in the direction of change in the world / and for this future world building India’s change is most important, my friend. at the New Art Cinema in the Michel Montecrossa Rock Vision Diner in Gauting near Munich, Germany. ‘Evolver Cool – 29 New-Topical-Songs & Movies’: released by Mira Sound Germany is Michel Montecrossa’s inimitable way of kicking the brain to think more deeply about what is happening. Bursting with life every song hits a hot spot topical with straight forward Evolver Dynamics and clear-sighted solutions. 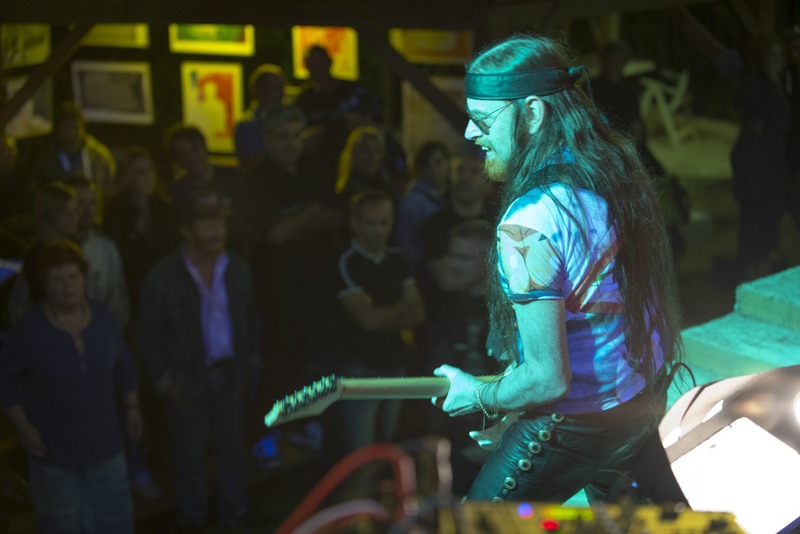 Michel Montecrossa ist Universal Künstler, Autor, Musiker, Filmschaffender, Real Philosoph und Bewusstseinsforscher, dessen Gesamtwerk sowohl geistig vorausschauend als auch praktisch materiell ist. Die Erkenntnisse und Forschungen, die in seinen Büchern über Real Philosophie und moderne Bewusstseinsforschung ebenso reichhaltig Ausdruck finden wie in seinem New-Topical-Song und gesamtmusikalischen Schaffen oder in seiner bewusstseinsstimulierenden Filmkunst und Malerei, haben ihren Anhaltspunkt und Entfaltungsgrundlage nicht nur im Geistigen und Empfindenden, sondern dienen ebenso als kreative Anregungen für die Entwicklung und den Aufbau einer bewusstseinsforschenden europäischen Friedensstadt auf freiheitlich demokratischer und humanistisch-spiritueller Grundlage: Die Gründung von Mirapuri – der Stadt des Friedens und des Zukunftsmenschen in Europa, Italien durch Michel Montecrossa ist der praktische Feldversuch für die Weitergabe seines Schaffens an ein wachsendes Gemeinschaftsleben und dessen selbständige Interaktion mit diesem Schaffen für die Findung neuer Transformationen und weiterführenden Neuentwicklungen. die auf Audio-CD und DVD gemeinsam mit einem Song Lyrics Booklet veröffentlicht wird. Die Präsentation aller Veröffentlichungen findet im ‘New Art Gallery’ Bereich des Filmaur Multimedia Hauses statt, wo man auch die aktuelle Herbst-Winter Ausstellung von Michel Montecrossa Malerei und Graphik besichtigen kann. Außerdem haben Sie die Möglichkeit, die außergewöhnliche Filmproduktion zu ‘10 Special Attention New-Topical-Song Movies – Apropos U.S.A. Presidential Election 2012 & Presidential Term 2012 – 2016’ im Filmaur Haus Kino zu sehen. Zur Pressekonferenz werden anregende Snacks und Drinks gereicht. Durch die freundliche Einladung des Fachreferenten beim Referat für Ökumene und Interreligiösen Dialog, Herrn Peter Miller, erhielt Michel Montecrossa, der Gründer von Mirapuri – der Stadt des Friedens und des Zukunftsmenschen in Europa, Italien, deren Aufbau aus den Idealen des Integralen Yoga von Sri Aurobindo hervorgeht, am 9. Mai 2012 im Pfarrheim von St. Paul, München die Möglichkeit über Sri Aurobindo’s Leben und Werk und Menschenbild einen Grundsatzvortrag anlässlich des 39. Treffen der Interreligiösen Runde zu halten. In diesem Buch werden der vollständige Text des Vortrags von Michel Montecrossa veröffentlicht, sowie Fragen und Antworten zu dem Vortrag, eine Zusammenstellung von weiterführenden Zitaten aus den Werken von Sri Aurobindo und Michel Montecrossa und Informationen über den Aufbau von Mirapuri in Italien und Miravillage, dem ersten Satelliten von Mirapuri in Süddeutschland. ’10 Special Attention New-Topical Songs & Movies by Michel Montecrossa apropos U.S.A. presidential election 2012 and presidential term 2012 – 2016′ released by Mira Sound Germany on Audio CD and DVD is Michel Montecrossa’s powerful Topical Song and Movie statement of commitment to a new level of work ethic in politics and economy for the future world. 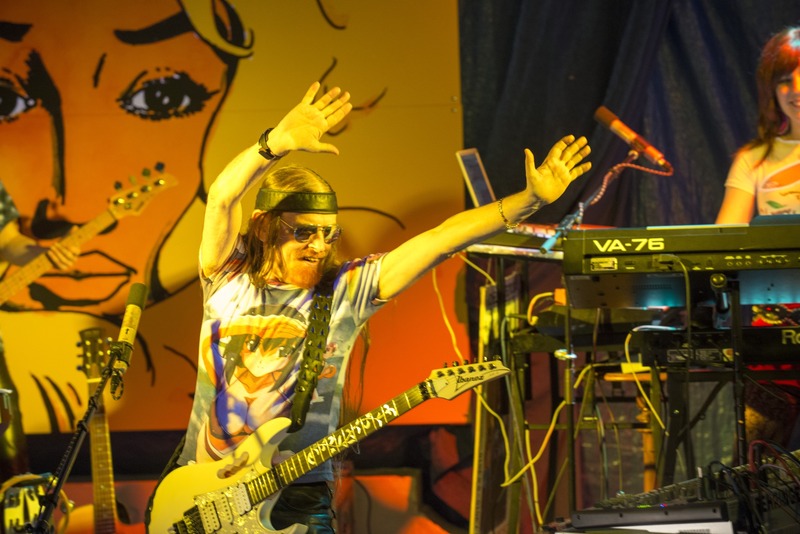 Michel Montecrossa’s 10 New-Topical-Songs turn in a universal way to the burning questions the USA has to face and to the fact that the quality of the USA answer to these questions will be affecting the entire world. The USA Presidential Election 2012 and the following Presidential Term 2012 – 2016 mark the time and the crossroads of destiny where humanity will have to decide if it moves towards unity and peace or towards disunity and endless wars. In the play of forces that influence the quality of this decision the USA will play a great role. Therefore the greatness or the smallness of the USA president is a major factor for building World Unity and World Peace. The ’10 Special Attention New-Topical-Songs & Movies Apropos U.S.A. Presidential Election 2012 & Presidential Term 2012 – 2016′ include masterpieces like ‘Talking Big Warning‘, ‘Talking U.S.A. Apocalypse‘, ‘Talking Occupy Wall Street Movement‘ and ‘Talking Banking Solution‘. All songs take up their themes in the spirit of positive answers and unflinching reality awareness to be helpful in finding clarity, determination, hope and courage. Michel Montecrossa, artist and voice of peace, expressive power, love and happiness. Michel Montecrossa is an exceptional holistic 21st Century artist. He unifies in himself the songwriter, the composer, the painter, the writer, the film producer, the futuristic architect and the Cyberartist for the expression of a global, future oriented consciousness. The art book ‘Paintings & Drawings‘ is the first volume of a series presenting the artwork of Michel Montecrossa. His paintings and drawings are the documentation of a free man and his soul journey. Michel Montecrossa‘s art is a stream-of-consciousness-creation expressing through the secret energy of photons the mystery, the love, the joy and light of an ever expanding life of awareness, communication and beauty. The book shows 135 paintings and drawings from 1969 till 2012 on 140 pages. 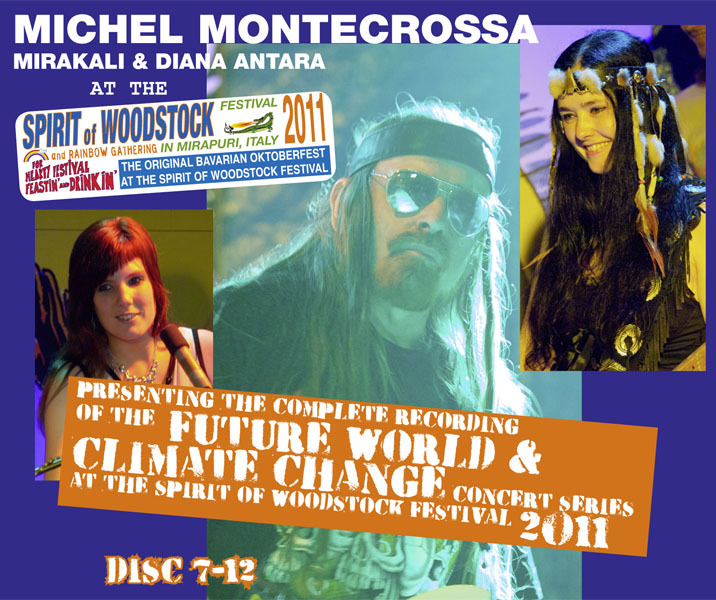 WITH ALL NEW RELEASES BY MICHEL MONTECROSSA, SRI AUROBINDO, MIRA ALFASSA, MIRAKALI & ANAND BUCHWALD.